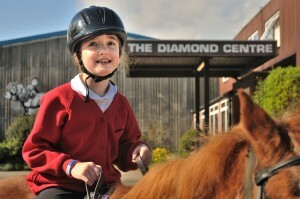 The Diamond Centre is a registered charity and receives no government or local authority funding. It currently costs over a quarter of a million pounds each year to run the Centre and we have to rely on fees, fundraising events, donations and legacies in order to survive. Without the support of people like you we would be unable to continue helping disabled riders who gain so much from their regular contact with horses, and achieve remarkable improvements in many cases. With ever increasing costs, it is becoming increasingly difficult to raise the money we need to continue our work and Legacies have become a vital element within our fundraising activities. A promise in your Will to support The Diamond Centre for Disabled Riders with a Legacy could be one of the greatest gifts you ever leave. Your gift would help to secure our future and ensure we can carry on helping those who deserve the opportunity to feel some form of independence by participating in horse riding or carriage driving. Your Will is one of the most important documents you will ever sign. We strongly recommend therefore that you use a solicitor to make your Will, as this is the safest way to ensure that your property and money really do reach the people and organisations you have chosen to benefit from your Estate. A gift in your Will to The Diamond Centre will have a direct and lasting impact on our future – and allow us to continue helping to improve the lives of disabled children and adults.